Mesa Verde, with its stunning landscapes and cliff dwellings, evokes all the romance of American archaeology. It has intrigued researchers and visitors for more than a century. But “Mesa Verde” represents more than cliff dwellings—its peoples created a culture that thrived for a thousand years in Southwestern Colorado and southeastern Utah. Archaeologists have discovered dozens of long-buried hamlets and villages spread for miles across the Great Sage Plain west and north of Mesa Verde. Only lately have these sites begun to reveal their secrets. In recent decades, archaeologists have been working intensively in the Mesa Verde region to build the story of its ancestral Pueblo inhabitants. 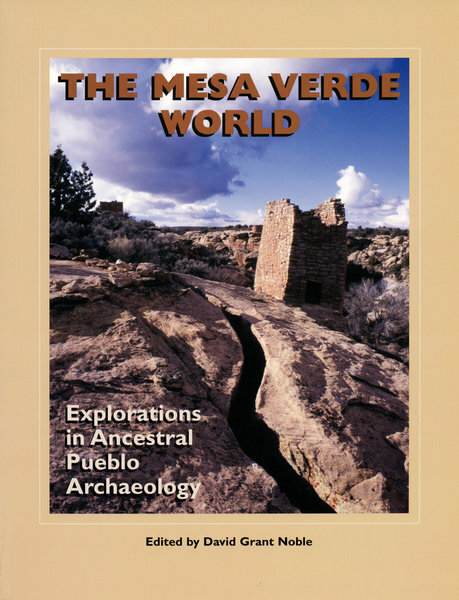 The Mesa Verde World showcases new findings about the region’s prehistory, environment, and archaeological history, from newly discovered reservoir systems on Mesa Verde to astronomical alignments at Yellow Jacket Pueblo. Key topics include farming, settlement, sacred landscapes, cosmology and astronomy, rock art, warfare, migration, and contemporary Pueblo perspectives.